OPERA SOUTHWEST: “LA CAMBIALE DI MATRIMONIO” FEATURES OSW APPRENTICES-READ OUR REVIEW! GO TO OPERA SOUTHWEST ON FACEBOOK TO SEE VIDEOS OF SINGERS IN ROSSINI’S “LA CAMBIALE” AND THE MAESTRO. Last weekend, as part of its 46th season, Opera Southwest offered something new, three performances featuring their roster of gifted apprentice singers . . . that’s one first. Next was the surprising venue, a snazzily refurbished downtown warehouse. The third was the show itself: the first opera ever staged by one of the genre’s most prolific and hummable composers. 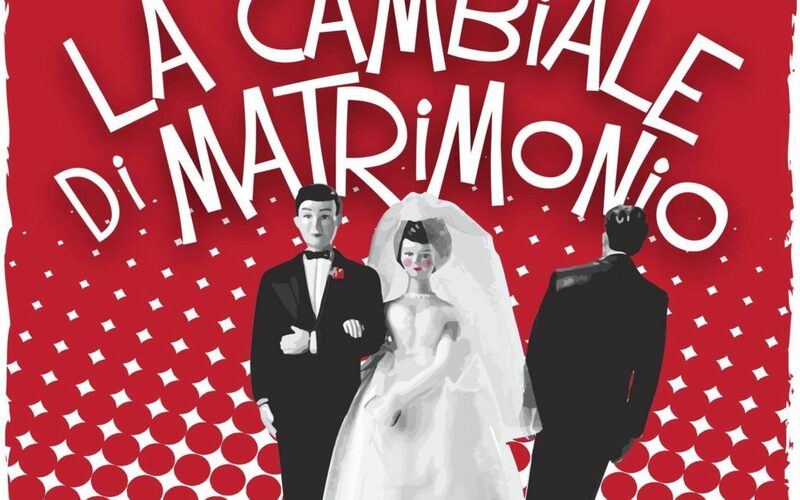 Gioachino Rossini was just 18 when he wrote his first professionally produced opera, then finagled its 1810 Venice premiere: it was a slapstick comedy in one act entitled La Cambiale di Matrimonio (usually translated as “The Marriage Contract”). And he was even younger, a Bologna music student, when he penned its peppy 5-minute overture, still an opener on symphony programs. Amazingly, Rossini was his melodious, mischievous self from the very start. It’s all there in La Cambiale — the raucous crescendos, the sassy woodwind commentaries, the clickety-clack patter writing, the tunes you can’t possibly hear and stay grumpy. What’s more, one of its duets was so good, Rossini recycled it in The Barber of Seville, so it’s still being heard every week somewhere. The show’s storyline was a perfect fit for the irreverent Rossini. Pure early sitcom, Gaetano Rossi’s libretto is set in the home of a wealthy Londoner who offers his daughter in a wedding package to a wealthy Canadian. The complication: the daughter’s already in love with a man who is of appropriate age but inappropriately broke. The foreigner arrives, a rough-and-ready New World type who’s promptly abused by the young lovers and their servants (they threaten to cut out his eyes and puncture his veins, not your average lyrics in an Italian opera). But the Canadian is a decent sort, supports the youngsters when he learns of their love, and incurs further abuse when he backs out on the contract. The tyrannical father challenges him to a duel to the death but, of course, everybody lives happily and profitably ever after. The unexpected venue for OSW’s production was La Puertas, a colorfully revamped warehouse on 1st and Constitution that rents space for fundraisers, art exhibits, music, workshops, and private functions. La Cambiale di Matrimonio featured food and adult beverages during the show, cabaret-style round tables on the floor, and balcony seating above. The orchestra is excitingly close if you’re on the floor: you could turn pages for the first violins. On opening night, Stage Director Susan Stone Li propelled the show’s totalitarian father, gossip-mongering servants, and Rubensesque suitors and heroine in and around the house, orchestra, and upstage platform. Period costumes were colorful and charming, and Li’s staging got frequent laughs. The cast members, this year’s participants in OSW’s Apprentice Artists program, were a well-balanced team. Two ideally contrasted baritones headed it up: Darren Drone sang the abused foreigner Slook with gorgeous, cushioned tone, the perfect Mr. Nice Guy (“Everyone wants me dead!” he soliloquizes mournfully at one point). Meanwhile Andrew Pardini played the money-grubbing father with vocal power, fast reflexes, and genuinely comic ferocity. Soprano Jennifer Noel as his daughter Fanny had more than enough voice for a Rossini ingénue, tossed off the roulades with ease, and revealed the mobile features of a natural comedienne. Gabriel Deyarmond sang her lover Eduardo with a genial light tenor. As the below-stairs couple Norton and Clarina, bass Karl Buttermann, and mezzo Max Potter offered attractive sound and jaunty stage presence. Will Kindel facilitated some of the staging in the mute role of a footman. Live theater, of course, is a high-wire act. Yet when things go wrong and the performers are first-rate professionals, the result can be as enjoyable as a letter-perfect run-thru. Which happened on La Cambiale’s opening night: an electric failure momentarily shut down the show’s surtitles, the running translations of the opera’s Italian. But the singers calmly kept on trucking, while OSW Artistic Director Anthony Barrese pulled off a real multitasking feat: in addition to conducting the orchestra and playing the fortepiano during recitatives, Barrese adlibbed hilarious translations to the audience in place of the missing surtitles! Elsewhere the conductor and his agile 20-piece orchestra provided the fast-paced, sharply phrased, clean-textured Rossini we’ve come to expect from OSW and from few others. As for the surtitles: when they worked, they were slangy, street-wise, and just as funny as the adlibs. Not surprising, since the printed program names Barrese as their coauthor. Opera Southwest was founded in 1972 as Albuquerque Opera Theatre by Dr. Edward T. Peter, Maestro Kurt Frederick and others. The 2018-2019 season is Opera Southwest’s 46th year of producing world-class opera in Albuquerque. OSW is a professional, regional company producing two to four major operas per year selected from the best of the standard repertoire. To date OSW has produced over 120 major operas for hundreds of thousand of patrons, and we are especially proud to have mounted 23 world premieres including an opera based on Rudolfo Anaya’s blockbuster novel Bless Me, Ultima, which debuted in February 2018. Opera Southwest’s mission stresses community and educational themes, and we have delighted more than 180,000 youngsters with outreach programs and exciting live theater. In this way, Opera Southwest ensures a loyal following in future years as these children grow into adulthood.